Fall is here. Now is a great time to commit to finding joy in movement and developing and strengthening your sensations. Nia is a powerful way to enjoy moving in your body, your way. Wonderful music and 9 movement forms from the Healing, Martial and Dance Arts, woven together to craft an experiential hour of movement medicine. Join me for Nia classes in Marshall, twice a week. Magictown Movement Studio; Studio #208 upstairs in the Marshall High Studios on the island in the French Broad River in downtown Marshall. I am a Certified Brown Belt Nia Instructor with over a decade of experience as a Nia teacher. You can read more about me on my teacher profile via the Nia Website here. 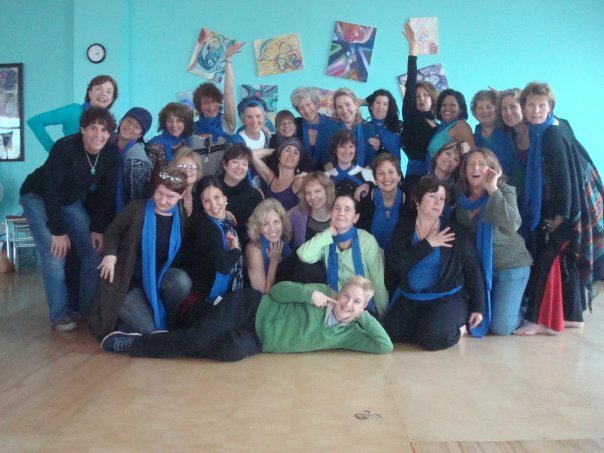 Nia class is a place to strengthen, to stretch, to soften, to wiggle, to shout, to sigh, to breath, to be in the moment in your body, dancing to music, and dancing into your life. One hour classes to dynamic world music begin with stepping in, moving joints gently, get moving, moving fully, slowing down, moving on the floor and stepping out. Nia is practiced at your level in your body's way. Nia is practiced in bare feet, awakening and stimulating sensation in the soles of the feet, stimulating our ability to balance and carry ourselves through our day. Nia reminds us to play, to move for the pleasure of doing so. In the pursuit of crouching, leaping and crawling like a tiger, the body is invited to activate sensation of stability, mobility, strength, agility and mobility. The emotion, body and mind move together when we play, creating a whole being health practice.